Travaasa Austin’s Chef Marko Ellinger takes a unique approach to his culinary endeavors, focusing on creating nutrient-dense foods that are cost effective, environmentally sustainable, highly nutritious, visually engaging and absolutely delicious. In honor of Man Month this June, we asked Chef Marko to enlighten us on the art of smoking. 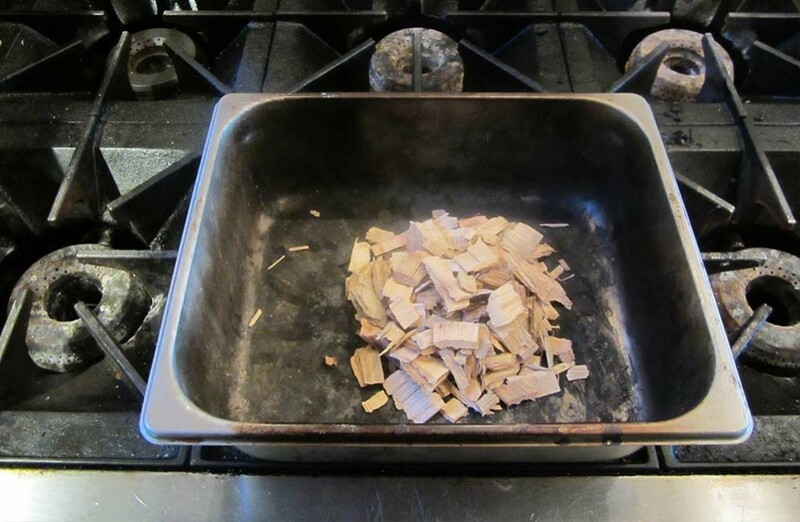 You don’t have to own the Cadillac of smokers to achieve that delicious flavor. I was motivated to create my own smoker so I would have a portable option if I wanted to smoke various menu items in unconventional locations. This smoking kit has also proven to be faster and more versatile than the smoking guns currently on the market. 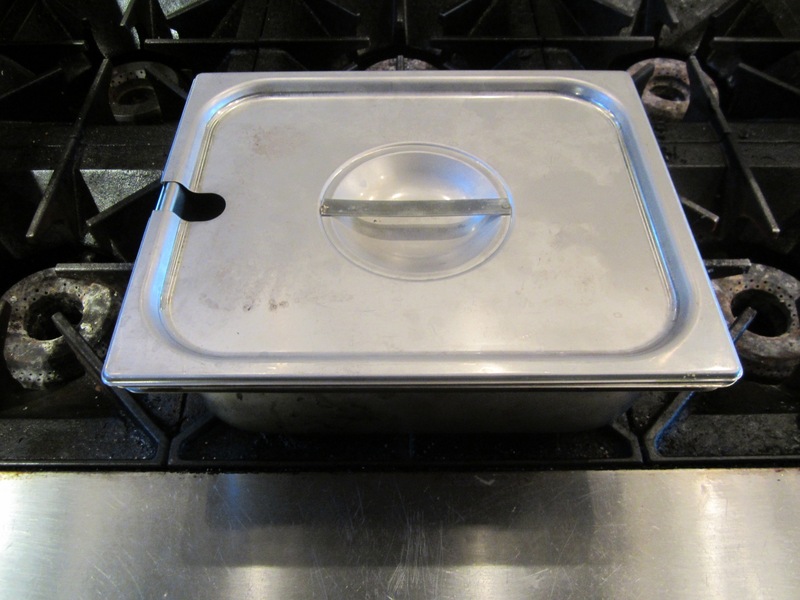 You will need a working vent hood if you are doing this indoors but this could also be done outdoors with a portable burner. This particular recipe features shrimp from the Texas Gulf Coast. I prefer to buy shrimp in the shell and peel them myself because they have better flavor than the ready-made peeled and de-veined variety. Blend the chipotle chilies, adobo juice, orange juice, apple cider vinegar, agave nectar, onion, garlic cloves, salt, olive oil in a blender and set aside to prepare the shrimp. Peel shrimp, leave tails on for presentation. Cut the backside of the shrimp with a pairing knife and immerse in filtered water, removing the dark material with your fingertips. Remove from water, pat dry and place in the “Chipotle en Adobo” Marinade for 20-30 minutes. 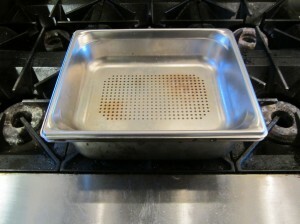 Arrange shrimp in a single-layer in your perforated steel insert pan. 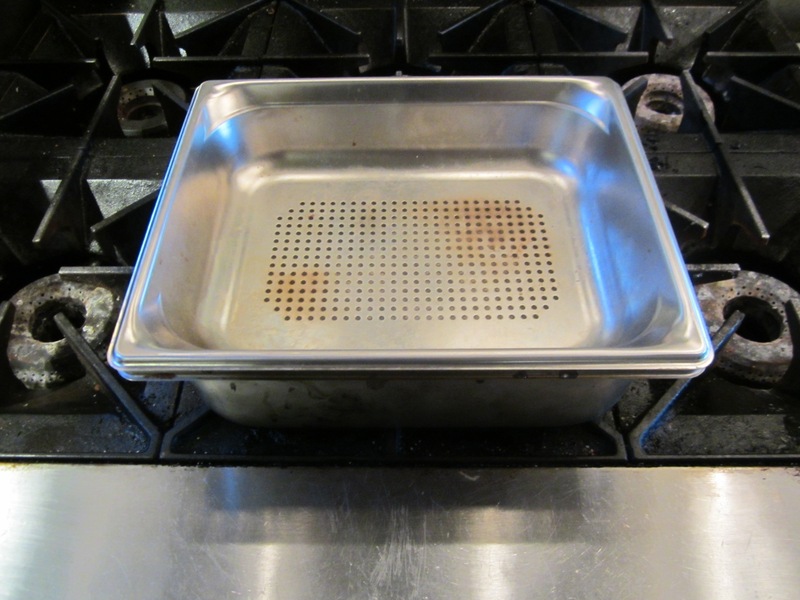 Hold steel insert pan separately while you ignite the smoker. 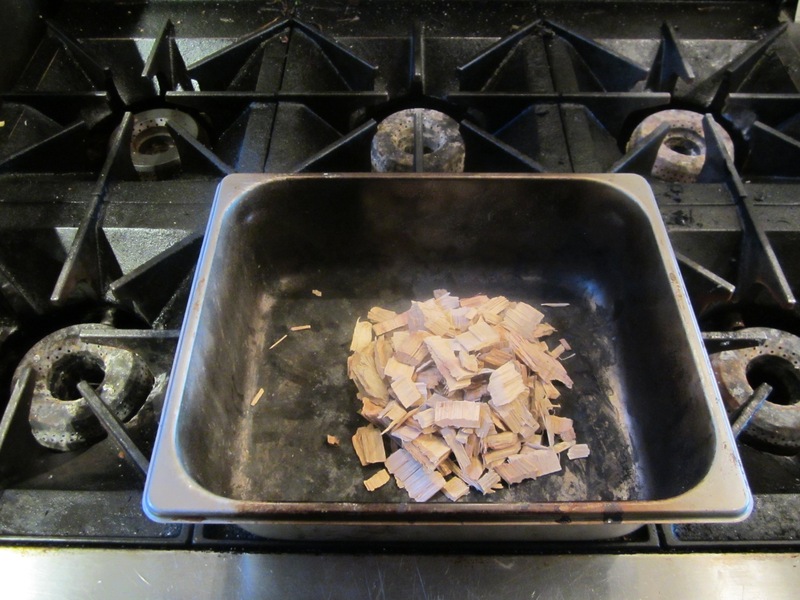 Position smoker on stove top and place small pieces of wood chips in the bottom of your steel half pan. 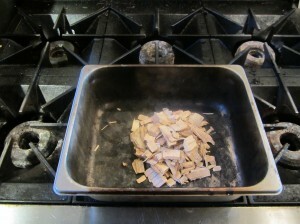 Ignite wood chips with kindling, cardboard or a torch. Once coals have ignited for about a minute, blow them out, put your insert pan inside and cover with a tight-fitting lid. Turn gas burner to low flame and smoke for 3 minutes. Remove from smoker and finish cooking shrimp on a clean grill. Grill individual shrimp for one minute on each side over high heat.